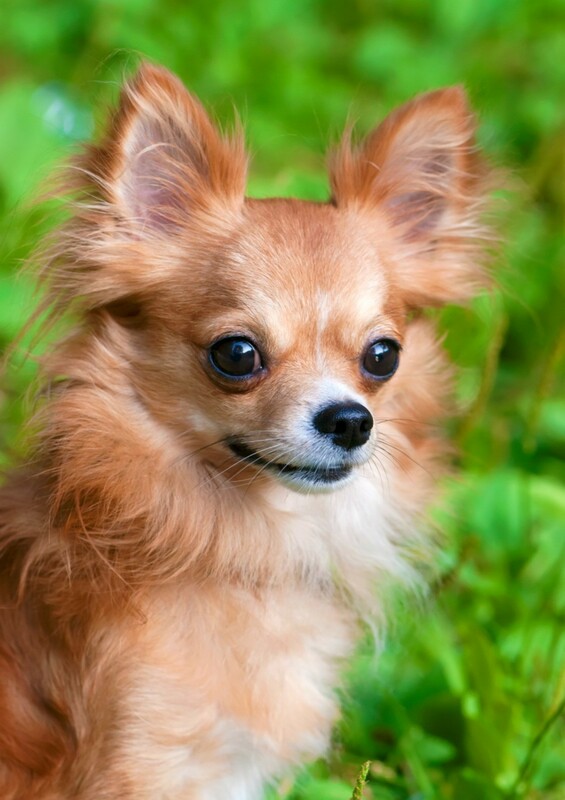 The popular Chihuahua comes in two coat varieties, the smooth and the long hair. 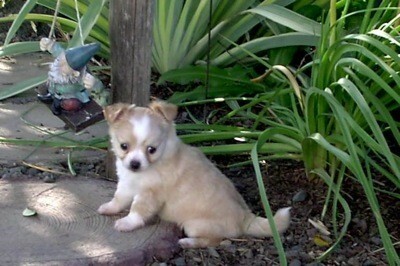 This page contains long haired Chihuahua photos. 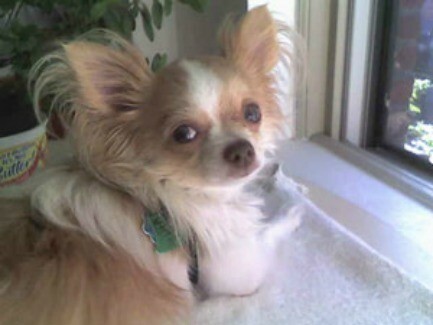 Share Your PhotoCheck out these Long Haired Chihuahua Photos shared by the ThriftyFun community!. 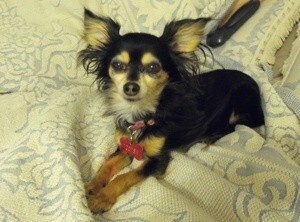 This is Sadie she is a 5 year old purebred long coat Chihuahua. Her colour is apricot and white. Her tail hair is so long and thick it drags along the ground when she's relaxed. 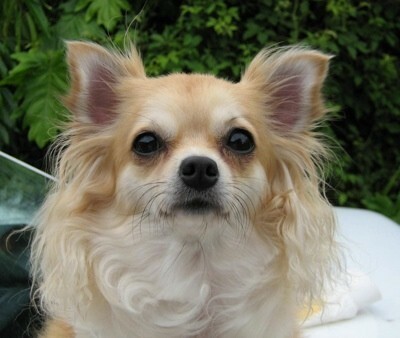 This is Mitsy, a 3 year old long haired Chihuahua. This photo was taken in September 2010. I met Mitsy at the local shelter where I volunteer. At first I passed her by a few times because she barked and I really hate small yappy dogs. 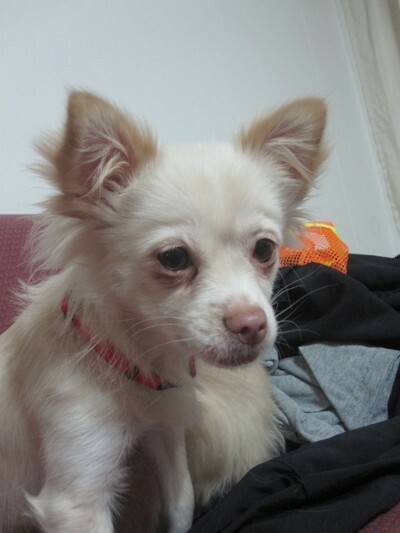 Tia is a 3 year old Long Hair Chihuahua. I got her three years ago for my 50th birthday. She likes to play with her brother, Buster, an Australian Cattle Dog. He pulls her around by the tail and she loves it. FENDER is 4 months now. 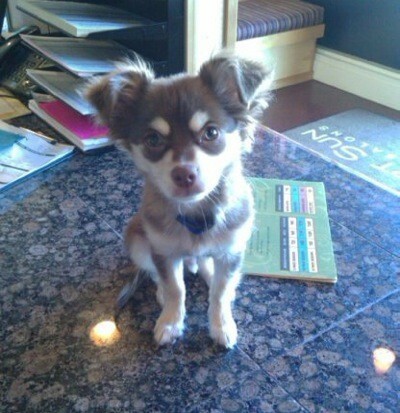 He is a long haired chihuahua mix. I got him at 8 weeks. He likes to do tricks, he knows so much! Sit, Wait, Roll-Over, Turn-Around, Shake, High-Five, etc. Bubba(white) and Miss Mollie are both 5 years of age. 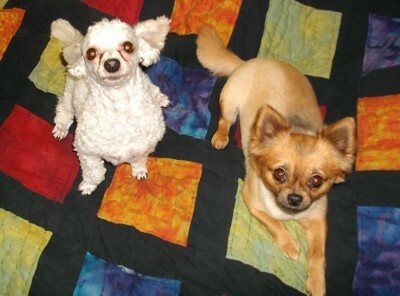 Bubba is 1/2 Poodle - 1/2 Chihuahua and Miss Mollie is a long-hair Chihuahua. I got them @ 6 weeks of age from different friends. 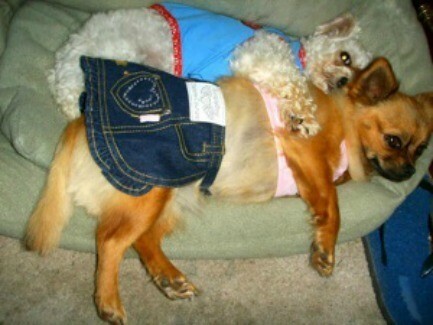 They are inseparable! 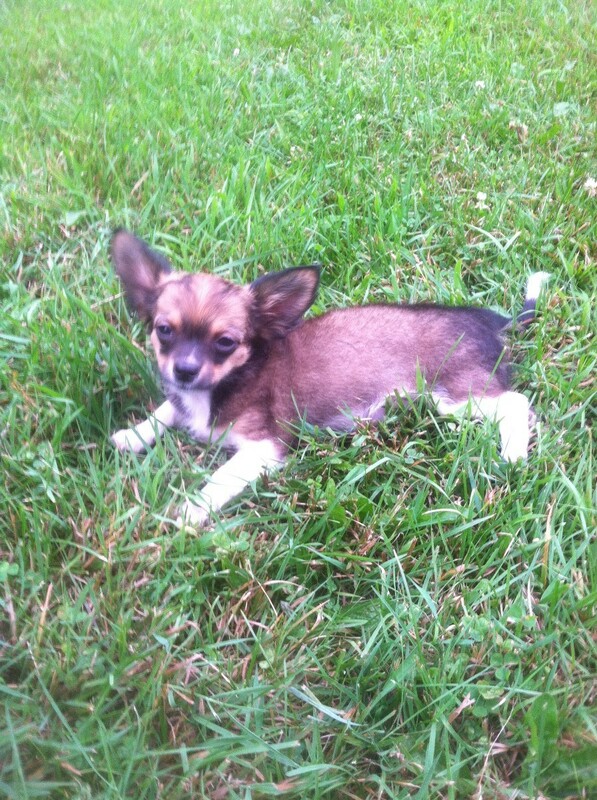 My mom just recently got me and my brother and sisters another dog. His name is Bear. My sister Ilona, who passed away last month, got her for me in October of 2016. She got her for me because I suffer from chronic anxiety and PTSD. Tootsie is a 6 year old long-haired chihuahua. My long-time pal, Gus, was killed a few months ago. God sent me a new friend in Tootsie, when a local breeder gifted her to me. She has been a blessing, and is helping to heal my heart. Miss Mollie and Bubbe are both about 2 years old. 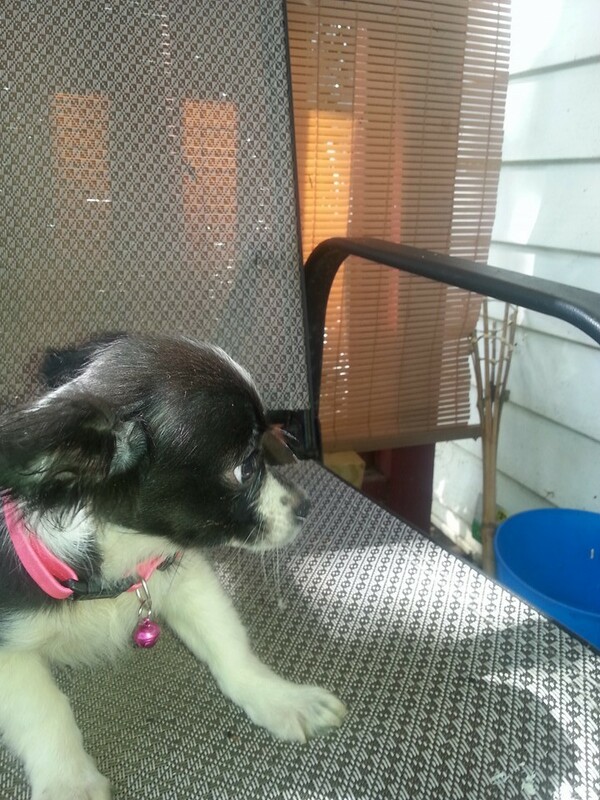 Miss Mollie is a long haired full blood chihuahua and Bubbe is a Chapoo (1/2 chihuahua and 1/2 poodle.) I got them both from a friend.